This transdisciplinary investigation is evidence of a tenacious commitment on the part of many open-hearted, open-minded individuals. While only the current team is pictured here, our vision is to make new knowledge known in ways where benefits transcend profits as we fulfil a promise to best to insure that what benefits one benefits everyone. If you're interested in contributing to our quest, send us an EMAIL and share your vision, values and competence! Co-founder and visionary of The Mereon Legacy CIC, a nonprofit, Community Interest Company based in the UK, Lynnclaire is a life long learner who knows that remembering is learning, unlearning and relearning. As the visionary behind Mereon Solutions, her time is invested in designing social projects based on this natural approach to innerpersonal and interpersonal relationships; and faciliating experiences where others discover how to achieve their personal ‘why'. Living on Purpose isn't easy, but learning and growing with the flow using the knowledge implicit in this universal ‘HOW’ is a game changer. The video below tells a bit of her journey, and her discovery/recovery of knowledge known today as the Mereon Matrix. When hidden truth is illumined it has the power humanity needs to release itself from the darkness of ignorance and bias. A universal model of a dynamic whole system, the matrix makes it clear that we have the innate capacity to cooperate and innovate to meet global challenges. It is time to do so. A global citizen, while Lynnclaire feels at home almost anywhere in the world, she is a resident of Spain, and declares that a ‘best’ day is working while overlooking the Mediterranean and the mountains from her small glass walled and ceiling atelier. Lou is a Professor of Mathematics at the University of Illinois at Chicago and joined this work in 1994. He is director of the Scientific Advisory Board of The Mereon Legacy CIC and a board member. Lou’s mathematical specialty is theoretic topology and more generally, the study of form, pattern, logic and cybernetics. 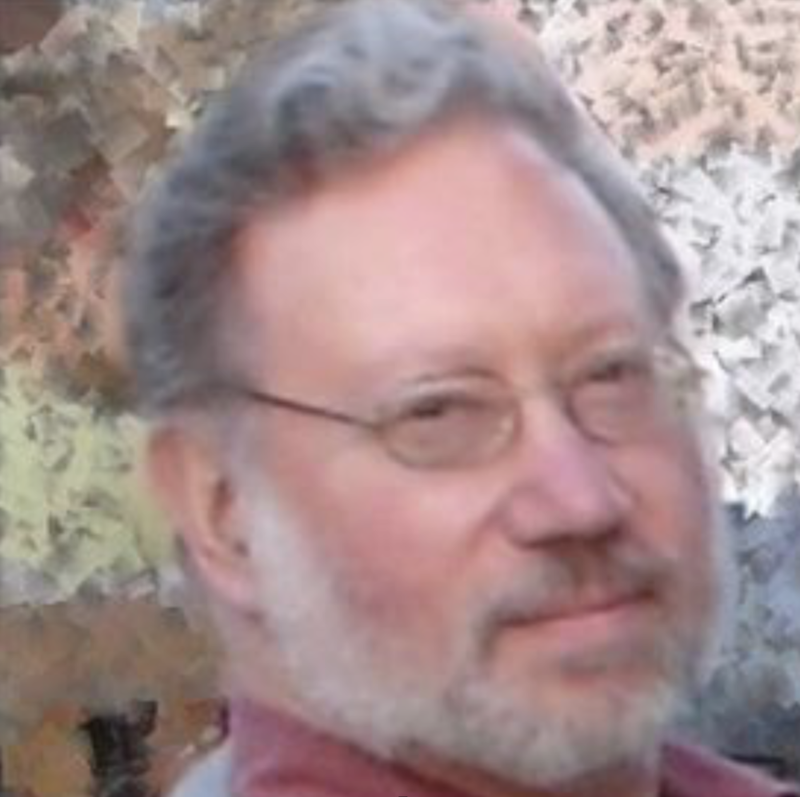 He is the founding editor and a managing editor of “The Journal of Knot Theory and Its Ramifications”; and editor of the World Scientific Book Series, “Knots and Everything”, and writes a column entitled “Virtual Logic” for the Journal Cybernetics and Human Knowing. From 2005 to 2008 Lou served as president of the American Society for Cybernetics. Lou plays a mean clarinet in "The Chicken Fat Klezmer Orchestra" in Chicago where he lives with his wife Diane. Bob has been a Principle Investigator of the Mereon Matrix since 1998, and without his remarkable expertise in geometry and computer modelling this work would not be what it is, or where it is today. A polymath in every sense, he has an insatiable curiosity which makes him a lifelong learner, this trait clearly observable in his passion to explore how the universe works and to use that knowledge to make a positive difference in the world. Bob sees the problem of electrical energy generation, along with energy in general, as the most critical issue facing the human race as everything— the world economy, standards of living, national security, health, environmental issues, and species extinction— all come down to energy generation and usage. Bob completed his PhD in Optics in 2015, his dissertation on monochromatic wavefront aberration theory and nodal aberration theory. He and his wife Yevgenia live in Rochester, NY, USA. Jytte's R & D background provides her with a unique opportunity to cross-fertilise her expertise with a M.Sc. in biochemistry, a M.Sc. in computer science and a European Doctorate and a PhD in Medical Informatics. Working on the Mereon Matrix since 2000, her expertise covers the breadth of organisational change and evolution over the theoretical aspects of the quality of semantic aspects of medical knowledge. She understood the need to and helped apply this modelling to the architectural logic of organisations. A computer scientist at the anthropocentric end of the scale, all things human-centred interest Jytte as does the multifaceted realm of asymmetric abstraction. Her 2006 book, ‘A Handbook of Evaluation Methods for Health Informatics’ is considered a ‘bible’ for methods of constructive evaluation of IT-based solutions. Jytte is the mother of two daughters, and grandmother to six, and lives with her husband Peter outside of Copenhagen, Denmark. Peter is co-Founder and Director of Administration for the Mereon Legacy CIC. He has been involved with this work since 2001, and became a principle investigator in2011. His background is as a physician with 30 years of management in medium-size, health organisations with responsibility for 100-200 employees performing mission-critical services 24-hours a day in a university hospital with 1,000 beds. During this time he witnessed and was affected by poorly implemented organisational change and technological challenges. Peter’s passion is sailing, being ‘Bestefar’ —grandpa— to six amazing kids, and living life with his wife Jytte on a beautiful lake outside Copenhagen, Denmark. Nick joined the team in 2007 after he and Lynnclaire met at a NASA conference entitled 'The Future of Intelligence'. He immediately began working in parallel with the team to help identify keywords for the sequential functions through an exploration of the Mereon Matrix. Nick was the driving force behind the team’s first peer-reviewed article, published in 'Foundations of Science' [Dennis et al. 2009]. This article outlined the fundamental processes underpinning Mereon’s functional logic and illustrated the way this process can be applied to diverse systems by identifying common process denominators that match those found in the system. In 2011, Woolf presented his first version of the origin of life, “Living and non-living dissipative systems”, using the process described by the Mereon Matrix as a foundation for mapping the formation of life and a living system beginning with the Big Bang. Woolf has presented his perspective on this work to audiences at Carnegie Institute, NASA and the SETI Institute. Chapter 12 of The Mereon Matrix: Everything Connected through (K)nothing, “The Origin of Matter: Life, Learning and Survival” is a synopsis of his presentations. Nick is emeritus at UA Tucson, where he resides with his wife Pat. Andrey joined the dialogue on the Mereon Matrix in 2014. He graduated from Odessa Medical University (Diploma with Excellence) with his area of research dedicated to Molecular, Immunological, Epidemiological and Biophysical aspects of Influenza infection. Twenty years of research took place at the I.I.Mechnikov Research Institute. He then moved to Odessa National Medical University to study Cancer Immunology, Stem Cells and Biophysics, while teaching students in his current position as an Associate Professor in the Department of Biophysics. During the course of his career he has made significant contributions to several findings: 1) Identification of molecular, genetic and biophysical features of influenza virus that influence virus immunogenicity and virus predisposition to form either acute or chronic/persistent infection. Original Methods for Control for Influenza has been elaborated; 2) Identification of two types of immune-hormonal response in cancer patients (perspectives for differential therapy of cancer patients and diagnostics); 3) Identification of the mechanism of some adverse reactions in animals subjected to autologous stem cell transplantation. 4) Epigenetic-informational Theory of the weak EMF and MF biological effects. Awarded multiple travel and educational grants, Andrey has 80 scientific publications (most published in Russian). His current professional interests include biophysics and basic and clinical immunology, and Andrey will be working with us as we investigate the relationship between unique sonic frequencies and their effect on cancer cells. Andrey and his wife Helen are parents to Alex, 23, a software developer. Javi’s calm caring and his enthusiasm are both contagious. His gift as musician brought him to this work and in 2015 he and Lynnclaire Dennis began working together on the sonification of the mathematics behin the Mereon Matrix. Javi coined the term “sono-tropic” to describe the designs inherent in his work. He writes, "The term mixes the words sono “sound”, noos “mind” and tropeō, “turning, adopting a new manner” which applies to any sound “object” or acoustic event that is able to bring about positive subjective changes in perception, mood, cognition, performance, behaviour, awareness, consciousness and/or perceived spiritual depth and connection, whether it is through the use of sound energy, via subtle energy which uses sound as a carrier or both." We love Javi and this description as it leans into Mereon in every way; sono —resonance; toro— linguisitically leading towards toroidal; trophic— how specified elements affect the whole. 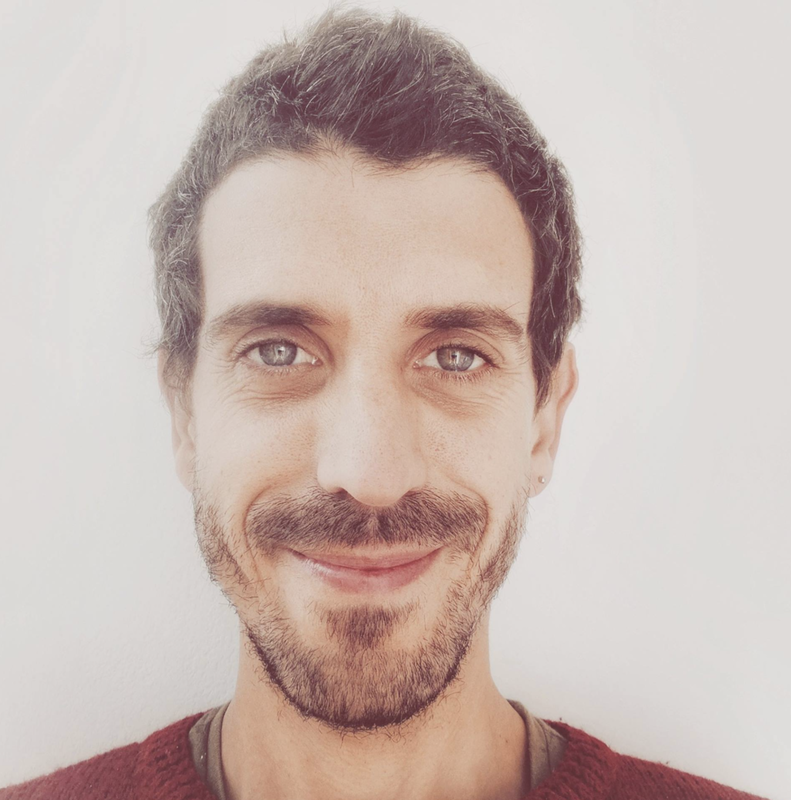 Javi is passionate about the application of brainwave and biofield technology to aid healing and growth, working with the team to explore the resonant potential Mereon offers to help humanity further the experience and wonder that comes with being alive. He celebrates life through music, yoga and meditation in Oviñana, Asturias, Spain. In 2012 and 2013, UK-based acoustics researcher, John Stuart Reid worked with the principle investigators to explore frequencies related to the Matrix. His technological competence and contribution led to cymatic experimental evidence that is shown across this site. John was invited to a co-author a chapter in the Elsevier 2013 book, now an addendum in the World Scientific book, where readers find an introduction to the history of cymatics, and the CymaScope’s emergence as a scientific tool. John and his wife Annaliese live in England’s beautiful Lake District. Rick has served on the Board of Directors of the Mereon Legacy CIC since 2013. Serving four years in the United States Air Force, Rick earned a number of awards for distinguished service including; PACAF Medical Technician of the Year, and USAF Achievement Medal for Service to others. After leaving the military, he enrolled in medical school, but left when the IT ‘bug’ bit him! In 2013 Rick took early retirement after almost two decades in IT at RBS Citizens Bank. He started as an assistant credit systems analyst and advanced from every imaginable job in technology, from planning, building, and supporting to Head Architect of the Retail Ban where he was responsible for multiple $100mm projects. Rick and his wife Roda live in Rhode Island with their three daughters Emma, Calista and Sophia. Diahann has been directly and indirectly involved in this work since 2001, her original interest based on how the dynamic geometry Mereon Matrix related to ancient wisdom traditions. 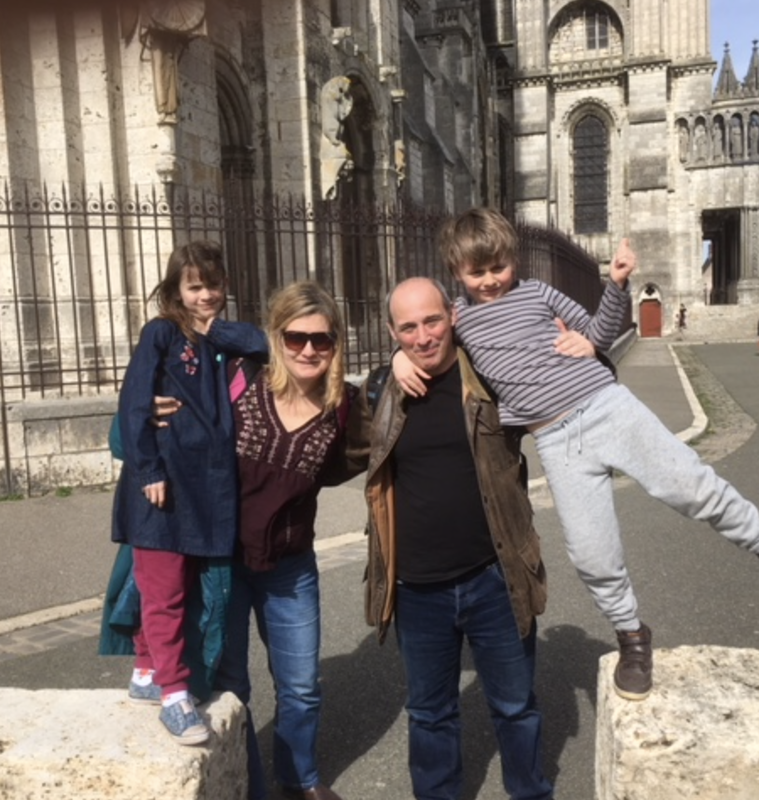 As the mother of two, her vision for the transformation of education, dynamically linking modern science and ancient wisdom, is met in the all the Belonging projects. Diahann, an American expat, lives with her husband Caius at Kinnersley Castle in Herefordshire, England with their children, Zara, who’s persuaded that living in a castle makes her a princess, and Aston who think and acts like a noble knight! Livia is an American expat who, like Lynnclaire, loves calling the Costa del Sol home! Her educational path led to earning an advanced degree in psychology, and her passion for relationships led to marriage with her husband, Stefan, and a move from Florida to Sweden. The need for sunshine sent them south to Marbella, and being mom to a teenage daughter, Karina, brought her to BeLonging! Livia joins us as a global market ambassador for all Mereon Solutions, and brings what we need to get this work out into the world: understanding about what we’re up to; along with the skills, network, presentation style and passion for realationships. Livia adds a new element of authenticity, warmth and excitement to the Mereon.org team as well as pragmatic and positive sales skills. She loves an adventure, travelling, music, arts, culture, and building human relationships, her strength found in meditation leads to focus and intention. Her grounded ‘Let’s get this done’ attitude is inspiring and as she orients herself, she has already started advancing InTurnship in the correct direction. The team is excited to help Livia as she works to take BeLonging to the world, making what is meaningful measurable for one and all. Sameer is a multi-disciplined Design Director at Astralize Design & Animation, and is the director of branding and design for the Mereon Legacy and Mereon Solutions. His creative skills are in great demand by clients needing a comprehensive image makeover. His ability to move seamlessly between the screen, print and web, creates consistent and fully-immersive brand experiences. With an international background and a passion for traveling, his design solutions have a global perspective that are in-tune with todays worldwide trends. Sameer's innate understanding of spiritual principals and the metaphysical world helps him inspire others on his quest to design a better tomorrow and makes him an amazing member of this team. He lives on the Costa del Sol with his amazing wife Mariana, and their daughters Anya and Zaya. Pierre, theoretic physicist at Stanford’s SLAC, was a dearest friend, Principle Investigator (from 2007-2017), and brilliant colleague. A social rebel and intellectual rabble-rouser, for years he was the first to sign up and show up for meetings, traveling the world to join in the dialogues, while admitting he came to put a stop to an investigation that was so different from his perspective even though it was so aligned with his personal values. Time and again his lovely wife Mary entrusted him to our care, big promises made even though bantam secrets were kept, a little top off to his favourite glass of red wine, a tiny pat of butter, and maybe even a small desert, but never the salt! Grace was ours when Pierre’s opinion turned with the millennium, and in 2000 he concluded —and had the courage to announce— that Mereon was what he had long sought, and had also resolved a lifelong paradox, providing the link between the “No” and the “Yes” in his name. Pierre taught us all with his love and wisdom, earning deep respect as he proved time and again that ‘wise old dogs’ can learn, unlearn and relearn. In all his transformation and his ultimate transition he was and remains one of Mereon’s most steadfast champions. His strong presence and Mary’s softness made an impression on all of our lives, a mark of love that endures. On 15 November 2015, Elmer J. Schettler, my best-man and ‘guy friend, left this world. Since his transition to the Grand Unknown ‘Next’, while my heart overflows with richly textured memories, there is an empty space in my heart that is engraved with his name. Since the day we met in 1997, ‘E’ was directly involved in multiple aspects of my life and all things Mereon, and the light he brought to life for me and the team are immeasurable. An exquisite host, his capacity for receiving and returning love, his wry sense of humour, clear intellect, and deep wisdom was long a stabilising force. Elmer, your spirit remains loved, appreciated and cherished by all. Elmer served on the Board of the Mereon Legacy CIC from its inception, and was the founder and Chairman of the Board of Devansoy Inc., a company that he built as a demonstration of his lifelong focus on health and value-added agriculture. An ‘Apple’ aficionado, connoisseur of coffee, great wine and gourmet food, Elmer was a pilot who was as at home as he was in the air. But the grand love of his life was his soul mate, Anne. They called Pagosa Springs, Colorado, home, however, their wisdom was reflected in their taillights when they headed south to Sedona, Arizona for the winter.